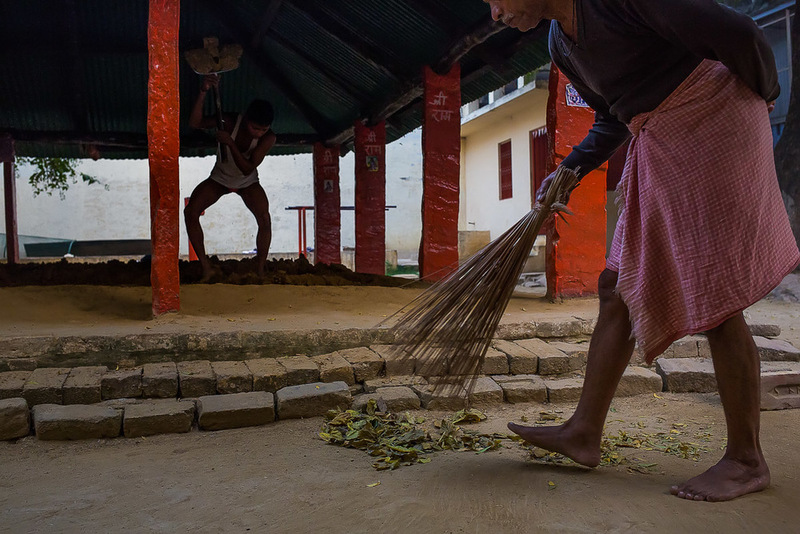 Khalil Lamrabet Photography - Kushti: a glance at an early morning training session. 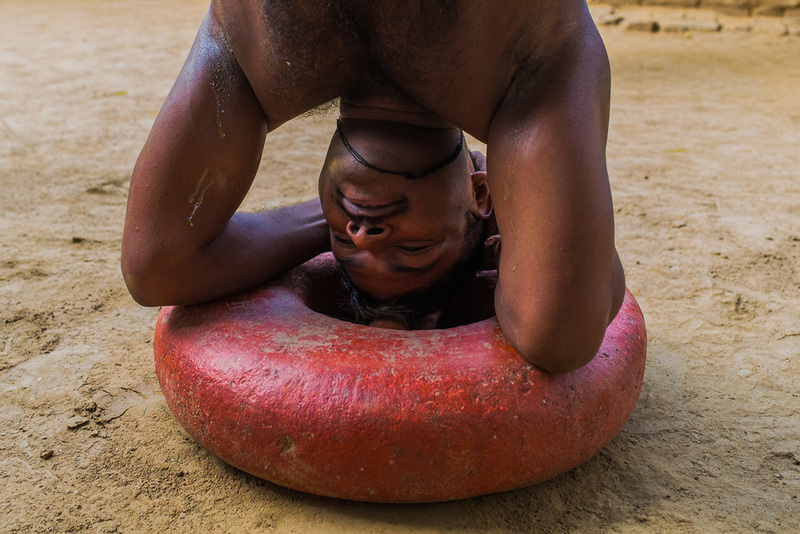 Kushti: a glance at an early morning training session. The 3,000 year old martial art is not only a sport or a tradition but it is also a subculture with rich moral and philosophical heritage. The wrestlers follow strict set of rules; the akhara is considered a holy space where prayers take place and the master who trains the wrestlers is a guru, a holy man. The below photo collection has been taken during one of the early morning training sessions in one of the oldest akharas in Varanasi: Tulsi Ghat Akhara. I arrived very early with my photo partner on that day: Stefan Groenveld. An old man arrived few minutes after us and started sweeping the floor for about 10 min, while a young man was turning the soil of the arena. Wrestlers started arriving one after the other, and all of them bent down to touch the old man's feet. He was their master! The guru of Tulsi Ghat Akhara, a government employee who spent every morning of the last 50 years practicing and teaching the art of Kushti. PS. The photos were taken during Maciej Dakowicz Street Photography Workshop. Please click here for higher resolution version.